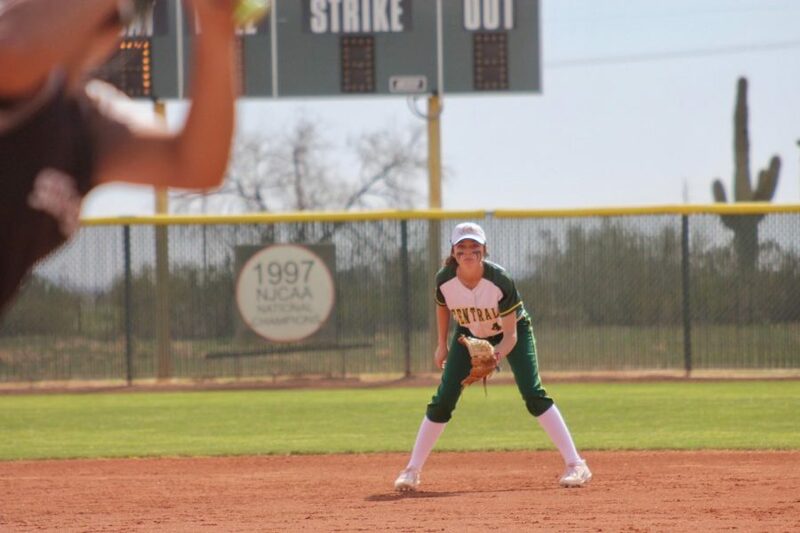 Last season the Vaqueras softball team finished the season with a 41-6 record and placed 5th at Nationals in St. George, Utah. Last year set the bar high for the expectations of this upcoming year. Shelby Davis is in her 3rd year as a head coach. Coach Davis attended and played softball here at CAC and won a national championship in 2005. This year she expects the Vaqueras to work hard and win another national championship. Coach Pineda is one of our assistant coaches. She works with the pitchers and catchers and helps them get stronger and better for our team. Both coaches are excited to be back for another year of Vaquera softball. We have gladly welcomed a new assistant coach onto our staff, Coach Ryan Henley. Coach Henley brings in knowledge and experience to add to the Vaquera team. This year Coach Henley hopes to add value to the team in any way he can and expects the team to work hard and push themselves on the field, the weight room, and in the classroom. So far in our fall season, we have been weight lifting, conditioning, and practicing every day in order to get ready for season. Our fall games consisted of multiple D1 schools, including University of Arizona, Grand Canyon University, San Diego State University, and UC San Diego. This year our sophomores have a high standard to uphold from what they accomplished last year. The sophomores are excited to welcome the new freshmen and help them in any way they can in order to get back to St. George for nationals. Our team’s one goal this year is to win the national championship. We hope you all can come out and support our softball team; we don’t disappoint!